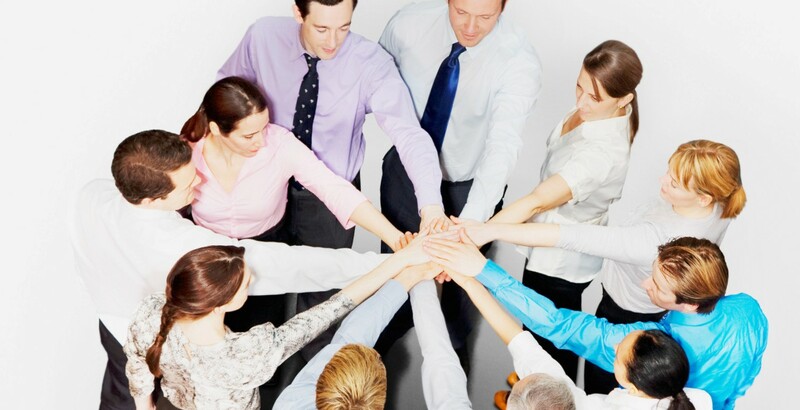 What fantastic results can a close-knit work team achieve? What should the leader do to “bring-up” people sincerely interested in the common cause? Business coach Raymond Foster answers these and other questions. – Raymond, why does a company need a solid work team? – 95% of the manager’s work depends on the work team. More precisely, the efficiency of the team greatly influences the final result of the company’s work. As they say, “no man is an island”. The leader cannot achieve anything alone. – What are your recommendations about team building? We will be grateful for examples from your experience. – When the manager is mainly focused on fulfilling a global goal or goal of the company, he or she misses the needs and interests of the team; as a result, the team is not ready and not motivated enough to provide the support when it’s needed. When the staff’s interests do not coincide with interests and the goals of the leader and the company it’s hard to encourage employees to do their best. It is very important to know and respect the values and motivation of employees. Be interested in your staff’s lives; show how similar their goals and values to the ones of the company and how they could be useful. I had a case when I had to ask all employees to work on December 31. It was necessary to meet the sales plan. I explained how important it is to me as a manager, how this will affect their motivation, how important it is for the company where we work and for each of us. And they, without hesitation, decided to spend their day off and beat the sales target. I celebrated every unit of goods sold, which brought us closer to the goal. Naturally, at the end of the day, we celebrated our success together. – What actions do you recommend to unify the stuff? – First of all, you should use methods of non-monetary motivation and set general goals: first, the general goal and then the criteria for the result. Next goes the recognition, feedback, individual and general meetings, recognition of success, praise, introducing the common responsibility and common decisions, expanding the area of responsibility, and, of course, a joint celebration in the case of success. – What do you have to pay attention to in the process of implementing the plan? – In my opinion, the most important thing is when the manager/leader acts as an ordinary person, with all the weaknesses and interests; when he or she knows how to admit mistakes, if they are any; when he or she knows how to say “I’m sorry”; when the manager can change the decision if it does not coincide with the goals of the company. A good business always has a human face, and often the leader is behind this face. – What are you most proud of in your career? – I’m proud that my team has not changed for 14 years. Even when there were “hard times,” people left for a short while and returned. They returned to their favorite atmosphere, to the team, to interesting work. Today these are the people who have their own businesses, high positions, and jobs they love. They learned a lot during their work with us; they grew up personally and professionally. – What are the primary “material” results – what has improved in the company with the help of a close-knit team? – Of course, the personal desire to become the best sales manager and the best company for investments paid off. Each salesperson has gained a number of satisfied customers and a huge number of recommendations. For 14 years, with an almost unchanged team of sellers, customers have bought from us more than once and recommended us to their friends. – What would you recommend for the constant support of team spirit? – The most important thing is to trust the team! Understand that sometimes they know better than you. Your task is listening, hearing, trusting, and helping in achieving a common goal!